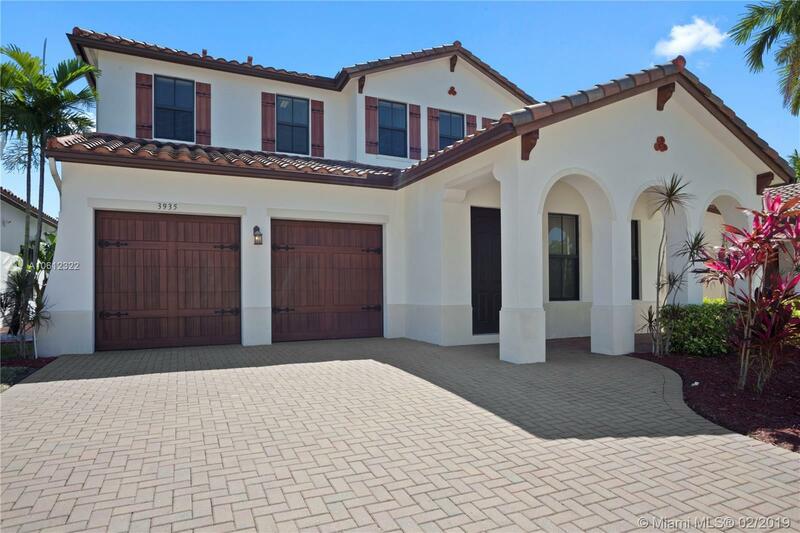 THE HIGHLY UPGRADED MONTECITO MODEL OFFERS AN OPEN FLOOR-PLAN HIGHLIGHTING 4 BEDROOMS, 3 FULL BATH, CUSTOM BUILT CLOSETS, HIGHLY UPGRADED BATHS, IMPACT WINDOWS AND WATERFRONT. THE GATED COMMUNITY OFFERS RESORT STYLE AMENITIES INCLUDING TENNIS & BASKETBALL COURTS, FITNESS CENTER, AND DOG PARK. A+ RATED SCHOOLS, JUST MINUTES FROM AIRPORT. HOA IS INCLUDED IN THE TAXES. Directions: Main Entrance On Pine Island Between Sheridan And Stirling Rd.